World number one Rory McIlroy says golf is his "life" after his break-up with tennis player Caroline Wozniacki. 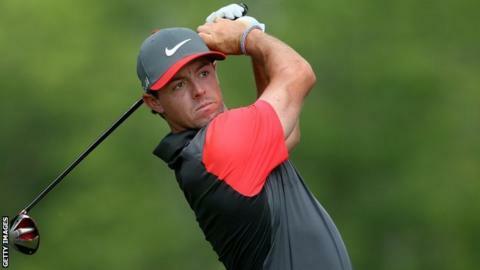 The Northern Irishman carded a four-under-par 67 on Friday to lead the US PGA at Valhalla at the halfway point. McIlroy, who ended his engagement to Wozniacki in May, won the Open in July and the WGC-Bridgestone Invitational last week. "I just immersed myself in my game. I've practised hard and I'm reaping the rewards," the 25-year-old said. Asked how much more time he had spent practising since his break-up, the three-time major winner said: "It's hard to really say. I guess, what else do I have to do? "I get up in the morning, I go to the golf course, I go to the gym. "It obviously works pretty well, so I'm going to keep doing it. It's my life at the minute. "I always feel like I've practised pretty hard. Over the past couple of months, I've really buried myself in my golf game."